On this website you will find information on all things Holliston Lacrosse. 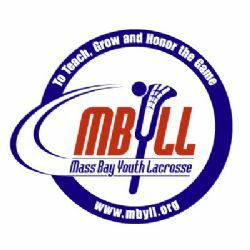 Like links to online registration , contacts, news, events, team pages, photos, etc as well as information regarding the sport of lacrosse including rules, camps and clinics, club teams, and training aides. *more details and tentative practice/game schedules located under 'Program Summary'. We also support the HHS Lacrosse Teams via use of our website, communication, equipment needs, and fundraising. We are glad you are interested in playing lacrosse and hope you enjoy your time spent learning how to play this Native American sport. We encourage you all to check out the ABOUT tab on the left and read our Vision/Mission/Values statements and learn more about the game. Holliston Lacrosse chooses to "HONOR THE GAME" here which means we will show respect to our teammates, opponents, and officials, and mostly to have fun. Whether you win or lose, you will learn to compete, make some lasting friendships, and can state that you play THE FASTEST GAME ON TWO FEET!